Lose 52 Pounds in a Year - Painlessly! Many diets claim that if you follow their diet plan, you can lose dramatic amounts of weight in a short period of time. While this may be true for many of these fad diets, most dieters end up re-gaining the weight after they quit the diet. Most diet experts agree that for lasting weight loss, the most effective method is a slow and healthy diet combined with exercise. To lose weight, you must consume fewer calories than you expend. One pound of human weight contains 3500 calories. To lose one pound, a dieter must cut this many calories from their diet or burn them off through exercise. Let’s think about this for a minute. This can be very simple. If you divide 3500 / 7 (days of the week) you come up with 500 calories. You need to be in a 500 caloric deficit per day to lose 1 pound per week or 52 pounds per year. You can exercise an additional 500 calories off per day, eat 500 calories a day less or combine the two methods. Too many people have a tendency to eat out at restaurants. Yes, I know you had to because of the anniversary or because of a best friends bachelor party but too often we stretch and justify eating out when we didn’t need to. Also, be aware that there are a lot of menus that have misconceptions about the calorie and carbohydrate content in their food as well. So just because ABC restaurant says the bacon macaroni and cheese meal has only 360 calories, does not mean that it is always true. If something does not seem right, it probably isn’t. One of the most common "diet foods" is salad. 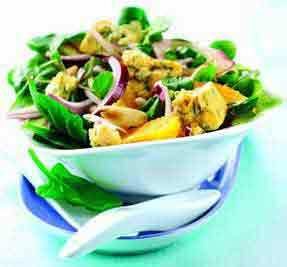 Many dieters eat the wrong types of salads. Full-fat dressing, full-fat cheese, bacon bits, and other high add-ins that are high in fat and calories can make your salad more caloric than a Burger King Whopper. People prefer this over a Whopper because they find it MORE TASTY, and that is simply because FAT tastes GREAT!! To lighten up your salad, stick with low fat cheese and low fat dressing or vinaigrettes. Stay away from salad bars and try to order one off the menu. Salad bars are too tempting and you end up creating a bigger salad than you need. This seems like the most obvious tip for weight loss. 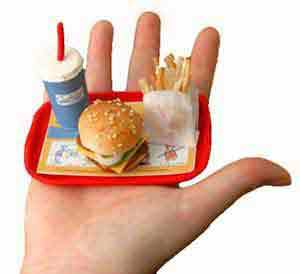 Many dieters are worried that they will be too hungry or otherwise unsatisfied if they reduce their meals sizes. Slow down while eating. 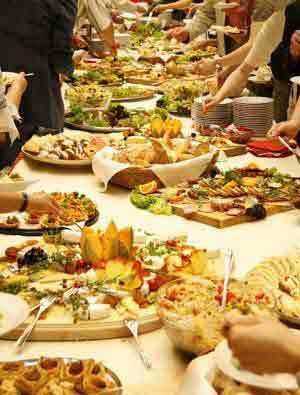 Hungry people eat quicker and then their body takes too long to signal that they are full. Just because you eat quicker doesn’t mean you need to eat more. If you put a little less on your plate, or take a few less bites each meal, the calorie reduction can really add up. Chances are, you won’t even miss that last little bit anyway. The signal from gut to brain takes some time so I suggest taking MORE time to finish your meal, then with a little bit more time you will feel more full and satisfied. Surprisingly, the only excuse I have yet to hear “My dog ate my home work." I understand if you live far away from your fitness center, but you always have your two feet and a flat floor even if it was a long walk with some pushups or sit-ups. 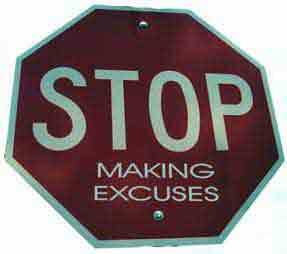 If you were to substitute these simple exercises every day throughout the year that you made excuses for, then you would see a big difference. This goes along with choosing healthier foods. If you replace your French fries for baked or roasted potato, for example, you can eat much more of them. If you grill your chicken rather than frying it, you will save many calories. These are just a couple of the nearly endless ways to cut calories from your diet. If you stick to these simple, no-nonsense tips then the weight will come off quickly. Hormone injections, fast quick weight loss diets are not a long term fix. It is frustrating to hear people use these practices when they are short-term fixes, but many more people are becoming aware of this and realize that lifelong activity and proper eating habits are the only way to look and feel good consistently.